Design Language Systems are unique. Some companies create systems for efficiency and reuse, and others make them to express their look and feel. While the goal may differ, all systems have something in common—people need to be able to use and grow them. If we only spend time designing product components, we aren’t designing the invisible human components: the overall relationships between the system and the teams who adopt it. Back in 2016, a team of engineers and designers created the first version of our Design Language System (DLS) with the goals of creating consistent experiences and cross-platform unity. The company was growing and teams were moving fast. People needed a common language to stay in sync. Since we released the DLS in 2016, our design organization grew significantly. The system was valuable and in high demand—a wonderful problem to have—but we couldn’t keep up with the amount of requests coming in. New components were being made, but not documented. And files were being shared across teams, but without naming conventions. It was the wild west. We’ve evolved from a single app to a platform that supports multiple businesses—a shift that has us increasingly considering human needs over solely focusing on features. Collaboration across businesses is critical because we don’t want our community to experience chaos while we transform our technology behind the scenes. So, we created a feedback loop to bring everyone together. Last year, we tried a critique model so designers across Airbnb could meet together to share product feedback and systems thinking. We called this feedback loop the DLS partnership. It was off to a good start, but when people got busy, attendance dwindled. When we asked people why they stopped coming, they expressed that they were coming out of their own passion, but that it wasn’t required or expected of them. It was clear that designers wanted dedicated time to participate, and acknowledgement for their participation. Instead, the partnership felt like extra effort, so we researched and developed a few key themes for improving our relationships with teams. What they said: Designers were unclear if leadership backed partnership with our team. What we did: We sought buy-in from managers, and ensured they would recognize designers for their involvement. What they said: While we gave a lot of critique, designers didn’t know what feedback to prioritize and when to turn advice into action. What we did: We set actionable goals and tracked them so designers knew exactly what to focus on. What they said: Designers were eager to work together, and share their results with other teams. 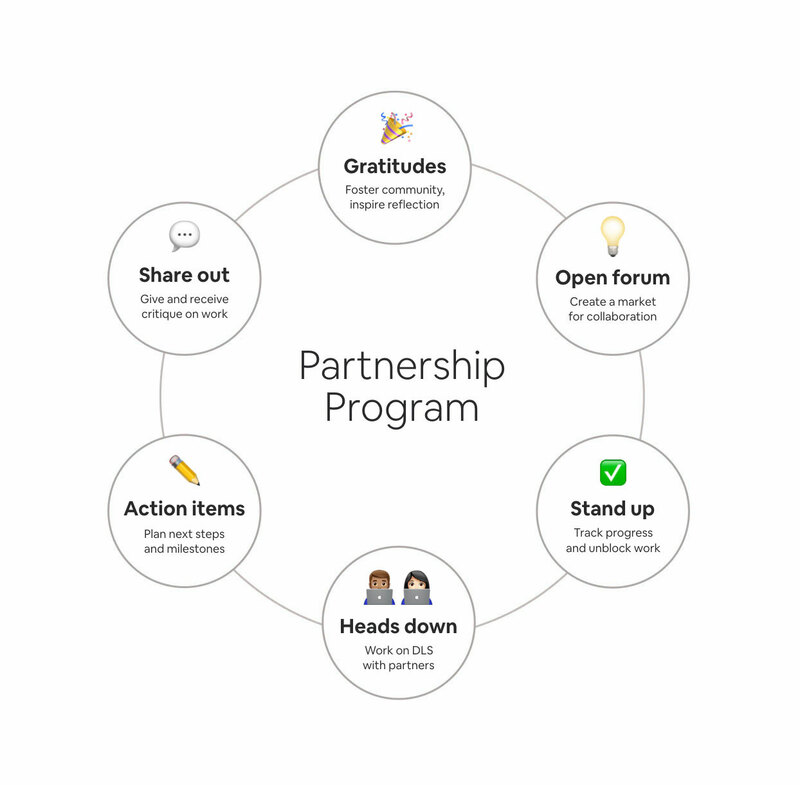 What we did: We started providing opportunities for people to create shared projects and learn from each other. Partnership with designers was key, but getting buy-in from managers would make or break the program. We wanted to shift the collaboration mentality from nice-to-have to necessity. So we brought managers together before we kicked off the program, and asked them to nominate one or two designers on their team to participate. 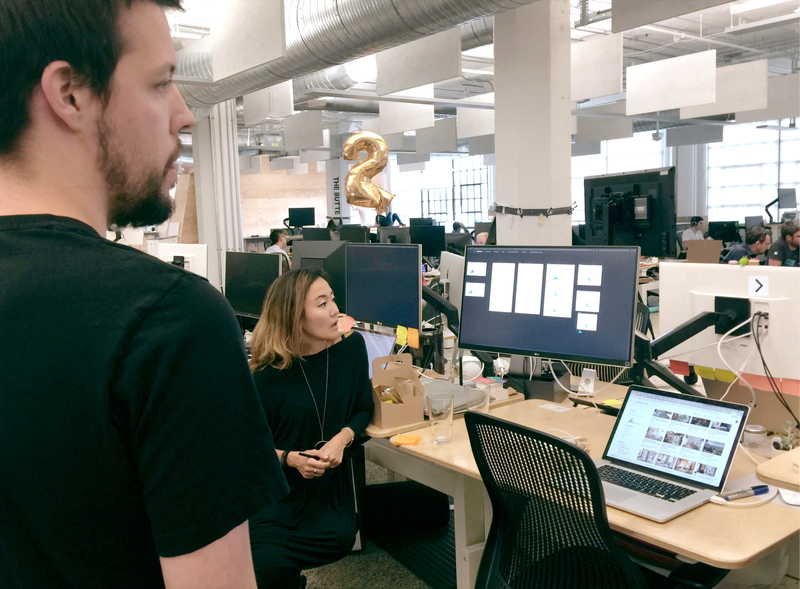 To build excitement, we also asked them to host small celebrations with their team to acknowledge their designers’ new roles. We announced the program launch with an invitation that welcomed partners to collaborate with us. As a design-led organization, we design everything—from emails and platforms to meetings and internal programs. In the fall when the program came to a close, we wrote performance evaluations for each partner so their managers could understand their contributions. 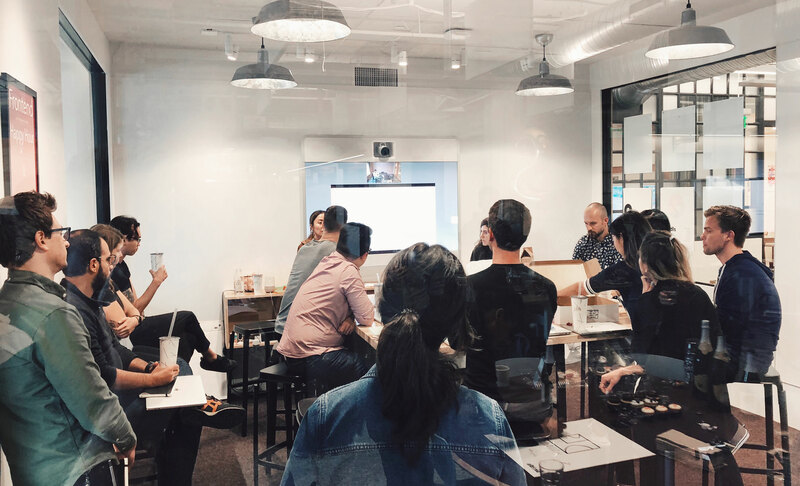 During the kickoff meeting, we asked designers to post ideas and vote on how to improve the design system—such as building a pattern library or researching product theming. This democratic process empowered people to work together on these improvements. The meeting agenda played a big role in the design of the program. Our goal was to help designers make time to work together and apply systems thinking to real projects. We also wanted to provide a space where people could learn from each other. Our agenda broke down into these activities: gratitudes, open forum, stand up, heads down time, action items, and share outs. Each week, we’d ask our partners if they had feedback to improve the meetings. For example, partners wanted to know if other teams were working on similar challenges, so collaborative open forums were born. By prototyping meetings in real time, we were able to adapt to people’s needs. We wanted the meetings to be productive, but more importantly, we hoped to foster relationships. With fun project team names like Fabric and Tapioca, a bi-weekly batch of bubble tea, and occasional balloons, we designed a cheerful, welcoming environment. In addition to the partner meetings, we piloted co-design sprints. For two weeks, a product designer and system designer sat side-by-side to co-create a new filter sidebar so our guests can more easily find homes and experiences. The sprint included a debrief with the product research team, and user testing by the end of the first week. There were also daily desk critiques with managers. This allowed designers to receive nearly real time feedback, and to keep moving things forward. In the second week, the product-and-system pair presented their work to their respective teams together, and received guidance from engineering, data science, and content strategy. As a result of the co-design sprint and support from additional teams, the pattern was updated in the product and submitted to our DLS component template for all teams to use. Tracking outcomes helps us prove the program’s value. Another early, powerful outcome of the program was the improvement of our selection patterns. Lesar Stepputat, an Experience Designer on Airbnb’s Payments team, was already working to improve drop down selection states on his team. Through our program, he ambitiously scaled his impact to improve the pattern across the entire Airbnb product. One of our success metrics of the partnership was attendance. While the first version of the program had fallen to just a few people attending meetings, our efforts resulted in an average of 60-70% of partners regularly participating. We also created a survey to collect open-ended feedback. Over half of the dozen respondents highly recommend the program. The survey also showed that the program cultivated strong relationships in the community. One partner even noted that ‘this has been the single most effective change brought to the DLS in a year and a half’. While the initial positive response was a strong start, we also found areas for improvement. 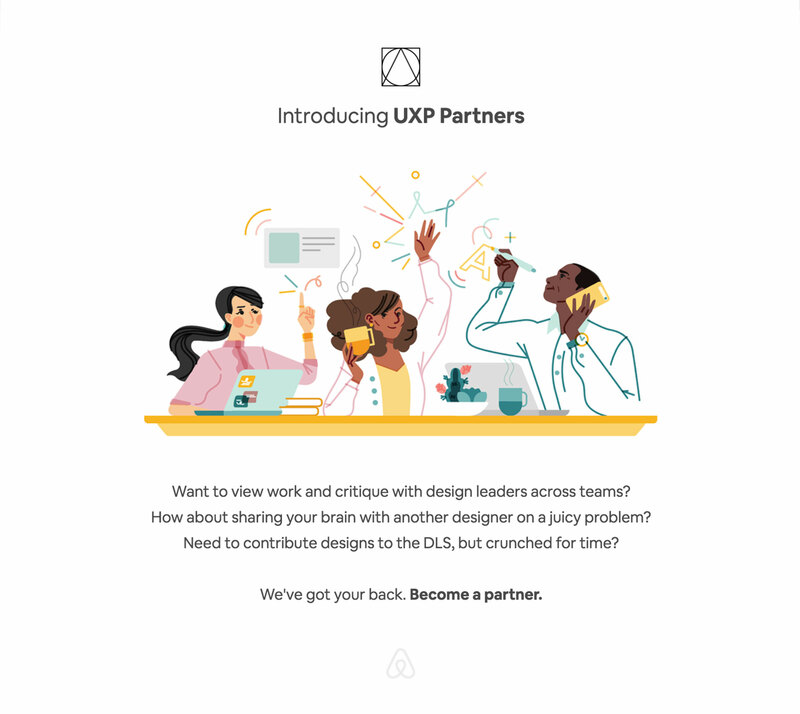 One thing we consistently heard from the partners was a desire for the DLS team to develop an openness to feedback when sharing work, and for feedback to be shared earlier in the process. Now, we’re iterating to evolve the partnership. Through this process, we learned that with an inclusive mindset, we can effectively build partnerships that results in a healthy community and actionable outcomes. When creating a sustainable culture, your design system is only as strong as your relationships with the teams who use it. For a robust design system to work, a company needs a mature culture that empowers people develop the system together. Without this, designers may feel like the system is limiting or blocking their creativity. Our intent is to continue to support teams as they build a sustainable design system community together. Creating and maintaining a design system is like planting a tree—it has to be nurtured and cared for to reap the benefits. The seed of our design system has been planted, and now our teams are working together to maintain and grow it. Our new way of working gives people recognition, facilitates trust, and creates strong partnerships. By committing to learn from each other and measure progress together, we’re able to provide a better experience for our teams, and for the entire Airbnb community. Hayley Hughes is a Design Lead on the UX Platform team at Airbnb. On the weekend, she's covered in clay experimenting with ceramics and diving into data visualization. 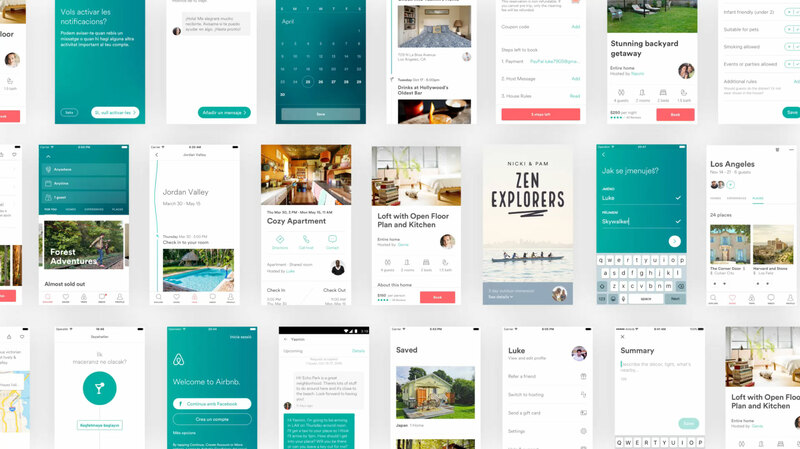 Yujin Han is a Design Manager on the UX Platform team at Airbnb. When not working on a design system, she loves traveling and figuring out where to live next. If left with one food to eat for the rest of her life, she’d pick coffee & chocolate ice cream.